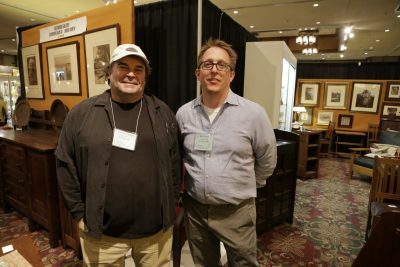 Eastwood Gallery specializes in Stickley furniture and accessories of the American Arts & Crafts Movement (1890 – 1920 ). Our antique inventory is focused on the leading manufacturers of the period and includes Gustav Stickley furniture, L. & J.G. Stickley, Stickley Brothers, Limbert, Roycroft, Rookwood pottery, Weller, Teco and Roseville pottery to name but a few. Business Address: 404 S. Snelling Ave.